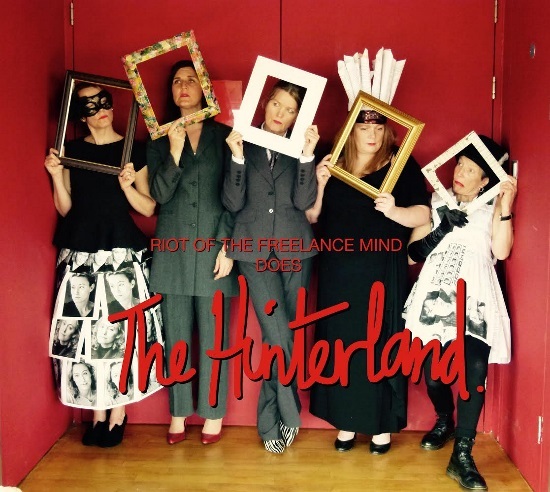 After their success at last year’s Plymouth Fringe, Riot Of The Freelance Mind take another tragi-comic look at The Hinterland, a space where we grapple with the tensions of living creative, validated, fantastical lives alongside earning an income, taking the bins out and walking the dog. It’s a No Wo/man’s Land - come and take a peep at our riot! Contains quirky, irreverent, self indulgent flights of fancy ...... and necessary bad language. Awarded ‘Toast of Plymouth Fringe’ 2017.